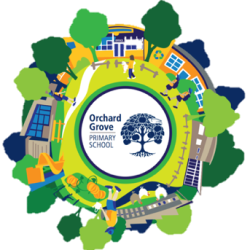 Orchard Grove Primary School is committed to providing a safe, nurturing environment that engages curiosity, promotes learning, personal growth and wellbeing for all students. We strive to develop adaptability and resilience so students can become valued members of the local and global communities and prepared for future life experiences. FOSTERING GROWTH – promoting academic, social, emotional and physical development. Orchard Grove Primary School is situated at 101 Orchard Grove, Blackburn South in the City of Whitehorse, an eastern suburb of Melbourne, Victoria, Australia. The school is in a residential area and opens onto native parklands and Wurundjeri Walk. The school opened on its present site in 1991 and was the result of the amalgamation of Blackburn South, Killoura, Mirrabooka and Warrawong Primary schools. Historically, our School Houses have reflected part of the history of Orchard Grove Primary School and most of the names of our houses have an Aboriginal meaning. Mirrabooka means ‘Southern Cross’, Warrawong means ‘side of hill’, and Wurundjeri refers to the parkland adjacent to the school and the name of the Aboriginal people who lived in this area. To honour and acknowledge the Aboriginal heritage of our area we were keen for all of our house names to have an Aboriginal meaning. So, in mid 2016 we changed the spelling of Killoura to Killara which means ‘always there’.